What exactly is a mediation? Mediation is really just a conference in which the parties try to reach a settlement. A mediation usually involves a mediator that is unbiased and, ideally, has already earned the respect of the parties long before the mediation begins. There are two types of mediations. The first involves the parties hiring someone who is independent and neutral to act as the settlement facilitator. In Maryland and most states, there is a pretrial conference that serves as a mediation. A pretrial conference is usually before a judge who is looking to get cases settled that can be settled. This is because it is good for the parties and it takes a trial off what is usually a busy court's docket. What happens at a medication? Usually, the mediator will meet with all the parties together to give some introductory remarks. Then, the parties go into separate rooms, often to never see each other again until the end of the mediation. The mediator then shuttles back and forth, relaying offers and demands back and forth between the parties. This surprises a lot of plaintiffs who are expecting that the mediation will involve a big confrontation between the parties. The reality is that there is very little interaction between the parties. The decision to settle your case or to take it to trial can be a very stressful thing. It is also stressful to relive your trauma. But the mediation itself is a very easy process. In both mediation and arbitration, the parties involve a retired judge or well respected lawyer to guide the resolution. But the two could not be more different. The key to the mediation is that no one can force anything on you. Keep this in mind. If you do not like the way a mediation is going, you can simply walk out the door anytime that you like. You might get pressure from mediator who might tell you that you are crazy. Our lawyers have walked out of so many mediations where the mediator told us we were crazy only for us to settle the case for a lot more later or get a much larger verdict at trial. You have to listen to your own lawyers and, more importantly, your own heart. An arbitration is a different animal. An arbitration is really just an informal trial. The rules of evidence are relaxed and you are in a law office instead of a courtroom but it really is a trial for all practical purpose. The arbitrator makes a final ruling and you almost invariably have to live with it. There are many good reasons to agree to an arbitration over a trial -- cost, convenience, availability of witness, and so forth. But there are no do-overs in an arbitration. The arbitrator acts as judge and jury and decides the case. There are a number of retired judges and lawyers who regularly mediate personal injury cases. This is a list of Maryland mediators. Some of these people are great choices and some would be very poor choices for a victim. You have to keep in mind that the insurance companies have more market share -- they hire a mediator more frequently -- than any five Maryland law firms combined. Why is this important? It matters because most mediators have an economic bias towards keeping insurance companies happy. There is a group of mediators/arbitrators who they use time and time again and get great results. That is the bad news. The good news is that there are too many plaintiffs' lawyers out there who know better and will not use this list of usual suspects. So there are a number of mediators -- usually retired judges -- who have the integrity and the gravitas to call it straight and still earn the respect of both sides. One word of caution that needs to be mentioned here. Plaintiffs' accident attorneys in Maryland have a tendency to salivate at the idea of a plaintiffs' attorney being the mediator. She has to be on our side, right? Not necessarily. Many of these plaintiffs' attorneys that are mediators are eager to establish their "fair" bona fides with the insurance companies, often to the point of overcompensation. So, unless you have good information that the victims' lawyer mediator is a credible and neutral, be wary. It is often a trap. 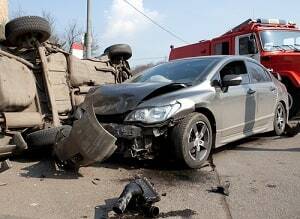 How long does a car accident mediation take? Invariably, mediations take longer than everyone thinks, particularly private mediations (as opposed to court pretrials) because there no time limits. The biggest reason they take so long? Parties start out at polar opposite extremes. Cases that settle in the millions often begin at these mediations with a $50,000 or $100,000 offer. So the back and forth just takes time. Hiring a lawyer for your case? Our law firm has earned millions of dollars for our clients in personal injury mediations. Our lawyers have published and lectured on the topic. We have the experience to maximize the value of cases in these settlement talks to get our clients as much money as possible. Our firm handles serious personal injury and wrongful death cases. If you have a potential claim, call us at 800-553-8082 or get a free case review on line.